1. IT ACTIVATES THE BRAIN. A 2012 study of children who couldn’t yet read found that writing letters by hand activated a circuit of neurons in the brain associated with reading. Tracing or typing the same letter, however, did not. This extra processing in the brain regions associated with literacy “may facilitate reading acquisition in young children,” the researchers write. A 1990 study found that having kids write words out improved their spelling abilities compared to typing on a computer. 3. IT HELPS YOU REMEMBER. A 2014 study that compared the memories of university students who took handwritten notes to those who took notes on laptops found that writing longhand better helps you learn new information. Those who wrote out their notes processed more of what was being said during their lectures, probably because they had to condense information to keep up, rather than mindlessly type the speaker’s words verbatim. In subsequent tests, handwriters recalled information from the lectures better than typists. 4. IT HELPS YOU THINK FASTER. In a 2009 study of elementary and middle school kids, students writing by hand were found to write more, and more quickly, than those who typed on a keyboard. 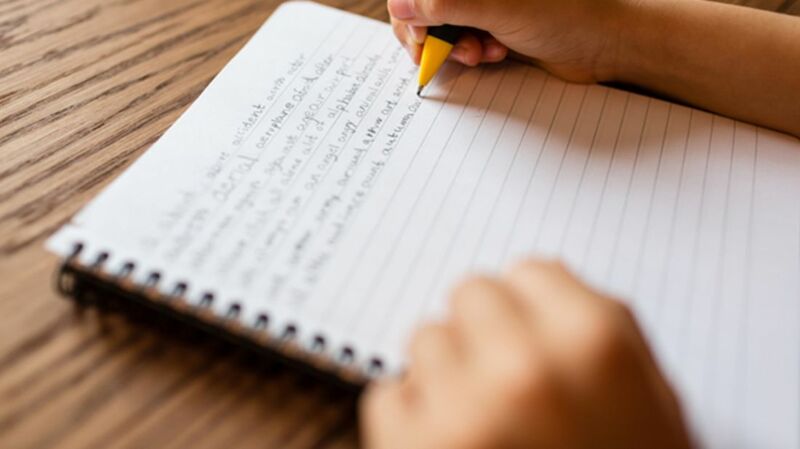 “Children consistently did better writing with a pen when they wrote essays,” the study’s author, psychologist Virginia Berninger, said in a press release at the time.